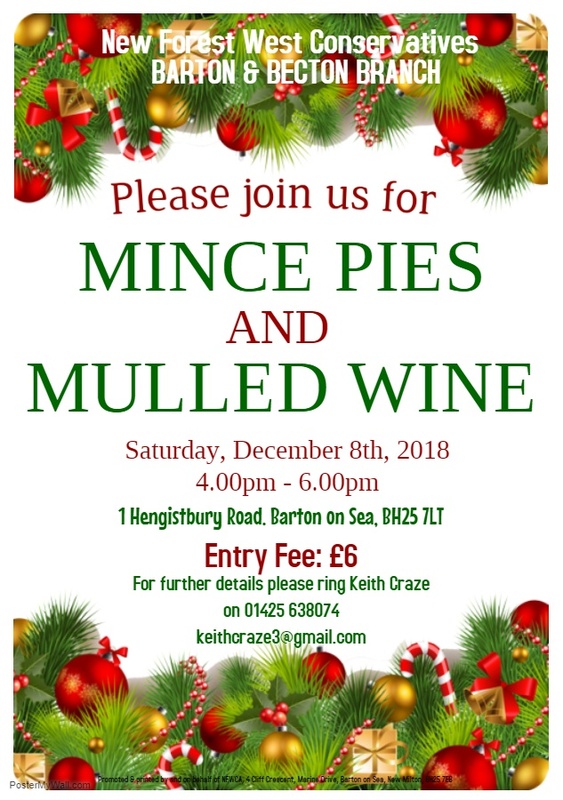 Please join the Barton & Becton Conservatives for Mince Pies and Mulled Wine, Tea or Coffee at 1 Hengistbury Road, Barton on Sea, BH25 7LT on Saturday 8th December from 4.00pm - 6.00pm. Entrance fee is £6 and includes all refreshments. For further details please contact Cllr Keith Craze on 638074.